Have you ever been so mad that you just wanted to crawl under the bed and just pray it all goes away? Tonight I am feeling that way about Makenzie's IEP meeting! I love my daughter so much but to the school district I feel she is nothing more then a number, a reason to cover their butts and a potential law suit. She is just another IEP. One more meeting. Funding and budgets. A reason to throw people under the bus. Maybe I am wrong! In fact I hope I am. This is just how I feel! As I get ready for this meeting tomorrow I am filled with anxious anxiety! I want to have a positive attitude but it is not happening! I want to believe the words that they say. However, they have given me so many reasons not to. There have been so many empty promises. I just don't understand why this has to be so hard! I guess that is why they have laws like FAPE and IDEA. I guess that is why there is 2 MILLION dollars in the budget to send kids to private schools when they can not meet their needs. I guess it is all just due process! Well process I will! I will not back down! I will not apologize. I will not let them blame failure on ANYONE or anything other then what is true and right. Honestly this whole post is quite embarrassing for me to write. After how far Makenzie has come. After all of the community support. After everything we have been through. To admit to the world the Makenzie had a terrible first year of school and that it doesn't appear to be getting any better is very depressing! I know it isn't my fault but there are some days that I wonder. I wonder how this could have gotten so messed up. I wonder why I feel I am being viewed as the problem when I am not asking for anything other then my child to be included in a class of her peers. I don't think that is asking to much! I want her to be the weather helper, the calender helper, and the counter. Just like every one else in the class! Not just the line leader, the caboose, and the door holder. All things that just happen by putting her in a wagon at either the front or the back of a line. That is not integration! I want her to have a place to sit at a table with her friends... not on an aids lap where she has no movement possibilities. I want these people to take responsibly! I want them them to communicate. I want them to be team players! 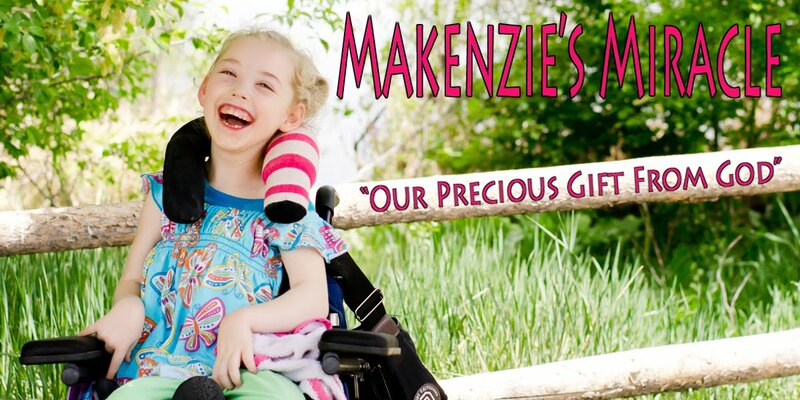 I want most of all for this to be about the sparkly, smiley, always happy, little princess named Makenzie! God will shine through! God will help me stay positive! God will help us communicate in words that they will understand! God will provide the right environment and teachers. God will provide every little thing that Makenzie needs as he always has!